“Today, mobility is more than just smartphones and apps..."
Federal government, healthcare and retail will drive mobility spending during the coming years, as consumption levels widen across key industry verticals. According to IDC's new Worldwide Semiannual Mobility Spending Guide, enterprise and consumer spending on mobile devices, software, and services will have a compound annual growth rate (CAGR) of 2.7 percent from $US1.66 trillion in 2015 to $1.85 trillion by 2019. “Today, mobility is more than just smartphones and apps, it is the lynchpin in driving new consumer behaviours, the future of work, and the digital transformation we are witnessing in real-time,” says Carrie MacGillivray, Vice President, Mobile and Internet of Things, IDC. While the holistic mobility market may seem mature, organisations across industries are leveraging a deeper set of capabilities to further transform their businesses, driven by heightened IT acumen from the consumer mobility market. 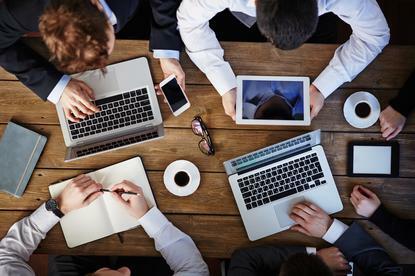 Mobility may have started with the simple concept of shifting employees from being desk-bound to being mobile, but MacGillivray believes it has advanced and evolved to the point where many organisations are now embracing capabilities unique to both mobility and their industries. MacGillivray says changing industry compliance requirements, government healthcare mandates in the U.S., and the need for specialised devices, software, and secure storage will drive healthcare providers to be the leading growth industry for mobility. Consequently, IDC forecasts that global healthcare firms will spend more than $US30 billion on mobility solutions by 2019, representing a four-year CAGR of 7.2 percent. Meanwhile, as federal/central governments embrace Digital Transformation (DX), MacGillivray believes a strong component will be articulated through the adoption of mobile IT. Mobility spending by global governments will have a CAGR of 5.7 percent over the forecast period to $US30.6 billion. Retailing has already benefitted from the consumer embrace of mCommerce, yet IDC believes retail will continue to be a strong growth opportunity, particularly in emerging markets, with a CAGR of 5.6 percent. “The ability to link supply chains to customer-facing ordering capabilities, increasingly deployed in a mobile-first context, will drive consistent profitability for a wider set of smaller, more specialised retailers as they look to be competitive with mass merchant firms eager to modernise their in-store infrastructures,” MacGillivray adds. From a company size perspective, IDC expects small offices with 1 to 9 employees to represent the strongest share of global mobility spending, as the 70-plus million small businesses either deepen their capabilities with industry-specific mobile apps, or start-ups in emerging markets develop their own mobile-first organisations with devices and basic services. “While mobile device ownership and general app uptake has already impacted consumers and businesses large and small, utilising mobile capabilities to drive wholesale digital transformation in personal and professional spaces continues to represent a growth opportunity for vendors and channel partners," adds Chris Chute, Vice President, Customer Insights and Analysis Group, IDC. From a regional perspective, software spending growth will be fastest in Asia/Pacific, Latin America, and the Middle East and Africa. At the same time, service spending will be the largest category overall with 2019 spending reaching $US332 billion in Asia/Pacific and $US249 billion in the U.S. hardware spending will be largest in Asia/Pacific, the U.S., and Western Europe, with these three regions accounting for 71 percent of the $US688.7 billion in 2019 global device spending. Meanwhile, the fastest growth in hardware spending will be in Central and Eastern Europe, and the Middle East and Africa.